With its iconic address among the pastel palette skyline of Miami Beach Art Deco hotels, The Ritz-Carlton, South Beach puts you in the heart of the chic urban landscape of one of the citys most fabled neighborhoods. 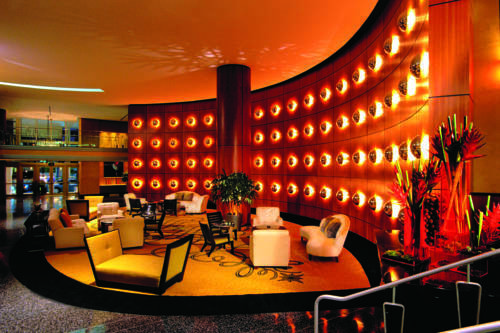 The landmark hotel, designed by famed architect Morris Lapidus in the Miami heyday of postmodernism style, embraces its glamorous past with a transformed contemporary spirit. Lapidus Lounge: Lapidus Lounge, named after the famed architect Morris Lapidus who designed the hotel when it was built in the 1950s serves specialty cocktails, light bites and sushi inside amid sophisticated ambience and poolside under the stars.